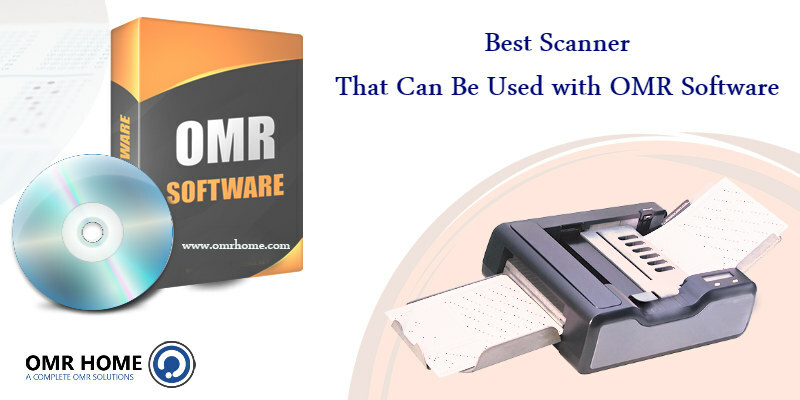 Which is the best scanner that can be used with OMR Software? The process of evaluating OMR sheets requires fine precision and efficiency. Most of the educational, corporate and recruitment bodies have considered for the use of the OMR software to suffice their requirements of processing the OMR answer sheets. The sheet reading software can evaluate multiple bundles of sheets inconsistency. Considering the sheet checking process using an OMR software. First, the OMR sheets have to be scanned using a normal scanner unit. The user can make use of a vivid range of scanners, ranging from the type flatbed, MFP (Multifunction printer), ADF (Automatic Document Scanner), etc. The scanned response is then read using an OMR software. However, the effective speed of the sheet processing depends primarily on the type of scanner incorporated for scanning of sheets. The best scanner to compliment the sheet checking process is considered to be the ADF scanners. An ADF scanner is a scanning machine that offers the feature to incorporate clusters of papers and the feeder unit will feed one paper at a time into the scanning assembly. Fujitsu, Canon, Kodak and HP are the list of brands that have been tested and trusted over an OMR software assembly. As soon as the OMR sheets get scanned using a scanner unit, they can be read by an OMR software to produce to a final scorecard of the applicants marked responses. SEE ALSO: How does an OMR Software work? It’s beautiful value sufficient for me. Personally, if all website owners and bloggers made excellent content as you did, then the internet might be a lot helpful than ever before. That’s a genuinely impisesrve answer. I’ve been exploring for a bit for any high quality articles or blog posts in this kind of area . Exploring in Yahoo I finally stumbled upon this web site. Reading this information So i’m glad to convey that I have a very good uncanny feeling I came upon just what I needed. I most surely will make sure to don?t put out of your mind this website and give it a look on a continuing basis. I blog often and I seriously appreciate your information. The article has truly peaked my interest. I’m going to book mark your site and keep checking for new information about once per week. I subscribed to your RSS feed too. It is appropriate time to make some plans for the future and it is time to be happy. I have read this post and if I could I want to suggest you few interesting things or tips. Greetings! Very useful advice in this particular post! It’s the little changes that make the greatest changes. Many thanks for sharing! Hello! I’ve been reading your web site for a long time now and finally got the courage to go ahead and give you a shout out from Dallas Tx! Just wanted to mention keep up the good job! Thanks for your marvelous posting! I certainly enjoyed reading it, you are a great author. I will ensure that I bookmark your blog and definitely will come back someday. I want to encourage you to ultimately continue your great job, have a nice afternoon! I simply want to tell you that I am just very new to blogging and site-building and definitely savored you’re web-site. Very likely I’m likely to bookmark your site . You surely come with remarkable writings. Thanks a lot for sharing your website page. I simply want to tell you that I am new to blogging and truly enjoyed you’re web site. Most likely I’m want to bookmark your site . You certainly have wonderful articles. Bless you for sharing with us your blog. I just want to mention I am just very new to weblog and definitely loved this blog. More than likely I’m want to bookmark your blog . You surely have impressive article content. Appreciate it for revealing your website.